Join 100,000 people streaming radio right now. Listen to your favorite Internet radio stations including christmas, pop, R&B, dance and many more. 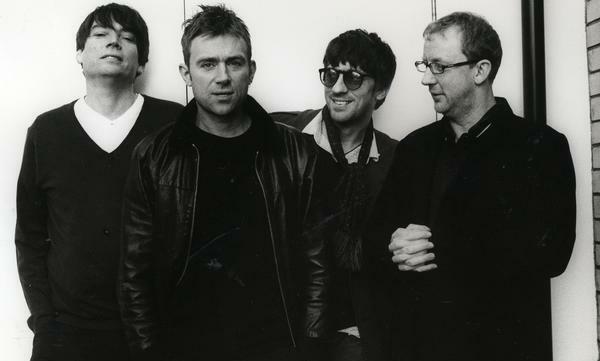 After 12 long years, Blur hit the waves again by releasing their second single from their upcoming comeback album, The Magic Whip. It may be rather dark, but it speaks the truth. Listen to the track below. The Magic Whip launches on April 27, but you can pre-order it now on iTunes to get the singles There Are Too Many of Us and Go Out instantly. For the meantime, tell us what you think of the band’s newest single in the comments below — did they reinvent themselves or are they just singing another old tune? This track opens with an unexpected yet welcome trumpet section, before Pete Wentz’s forceful vocals enter the scene. Aside from that, there are other elements both in the track and video that will keep you riveted. At first, the video appears as if Smith is either the priest or the groom in church, but the moment the candles and wreath appear you know it’s going to tear you up, especially if you’re deeply in love with someone or badly missing someone dear to you. Or both. Again, it’s Valentine’s season, and again, we’ve got a number of tracks for you to sink your teeth into, whether you’re in love or simply disgruntled at the whole business of feelings and can’t wait to get to Halloween. Or April Fool’s Day. For this week, we’re featuring five of the latest music tracks and videos to come out. Let us know what you think of this lineup, and if you wish to see new tracks of your favorite artists and newcomers featured on our pages! Online Radio Stations is available in more places than any other radio service. We're here to help. If you're having any issues listening to Online Radio Stations we have customer support people available to chat live or answer your emails. Follow Online Radio Stations on Facebook and Twitter to stay informed about our frequent giveaways, promotions and updated Online Radio Stations news! Copyright 2012 © www.online-radio-stations.org. All Rights Reserved.